ZEREX Extended Life Antifreeze/Coolant Ready-to-Use patented formula has been charged with special inhibitors to protect diesel engines from liner pitting and hard water scale deposits for longer engine life. With the addition of an extender product, you can go 6 years, 14,000 hours, or 1,000,000 km without changing your antifreeze. 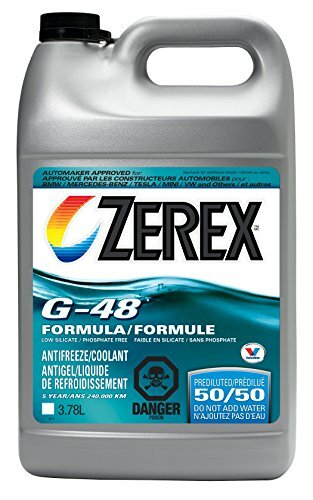 ZEREX Extended Life Antifreeze/Coolant uses the highest quality virgin ethylene glycol for freeze and boil over protection, and a patented hybrid organic acid corrosion inhibitor package to protect cylinder liners from cavitation and liner pitting and your engine from rust and corrosion. No mixing required. If you have any questions about this product by Zerex, contact us by completing and submitting the form below. If you are looking for a specif part number, please include it with your message.